Between 1935 and 1938, the celebrated photographer Roman Vishniac explored the cities and villages of Eastern Europe, capturing life in the Jewish shtetlekh of Poland, Romania, Russia, and Hungary, communities that even then seemed threatened—not by destruction and extermination, which no one foresaw, but by change. Using a hidden camera, and under difficult circumstances, Vishniac was able to take over sixteen thousand photographs, most of which were left with his father in a village in France for the duration of the war. With the publication of Children of a Vanished World, seventy of those photographs are available, thirty-six for the first time. 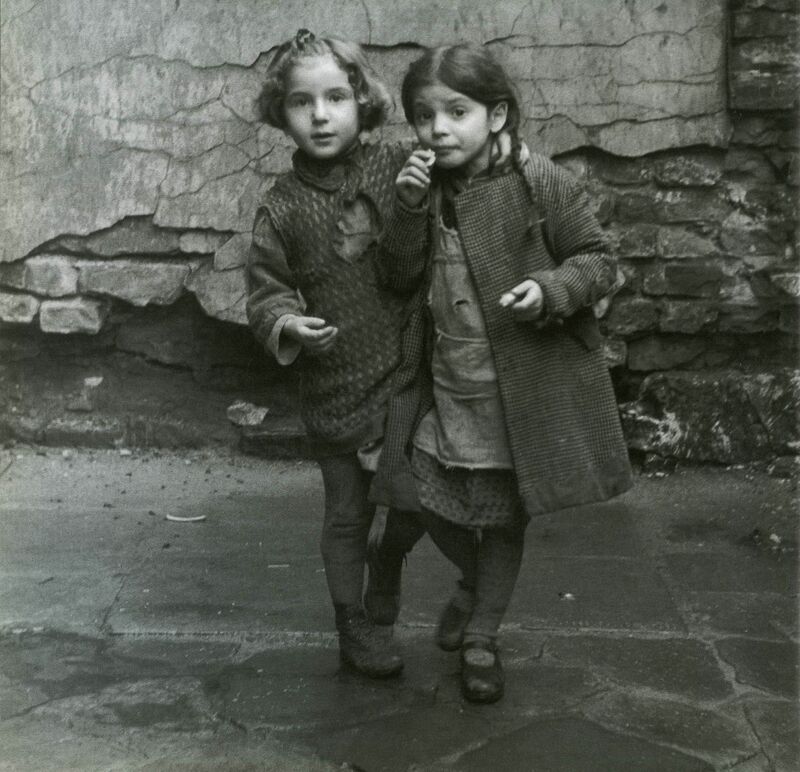 The book is devoted to a subject Vishniac especially loved, and one whose mystery and spontaneity he captured with particular poignancy: children. Selected and edited by the photographer's daughter, Mara Vishniac Kohn, and translator and coeditor Miriam Hartman Flacks, these images show children playing, children studying, children in the midst of a world that was about to disappear. The photos capture the daily life of their subjects, at once ordinary and extraordinary. The photographs are accompanied by a selection of nursery rhymes, songs, poems, and chants for children's games in both Yiddish and English translation. Thanks to Vishniac's visual artistry and the editors' choice of traditional Yiddish verses, a part of this wonderful culture can be preserved for future generations. University of California Press, 1999. Hardcover, 156 pages.